Soundartist, sculptor and musician investigating acoustic qualities of various materials and spaces. 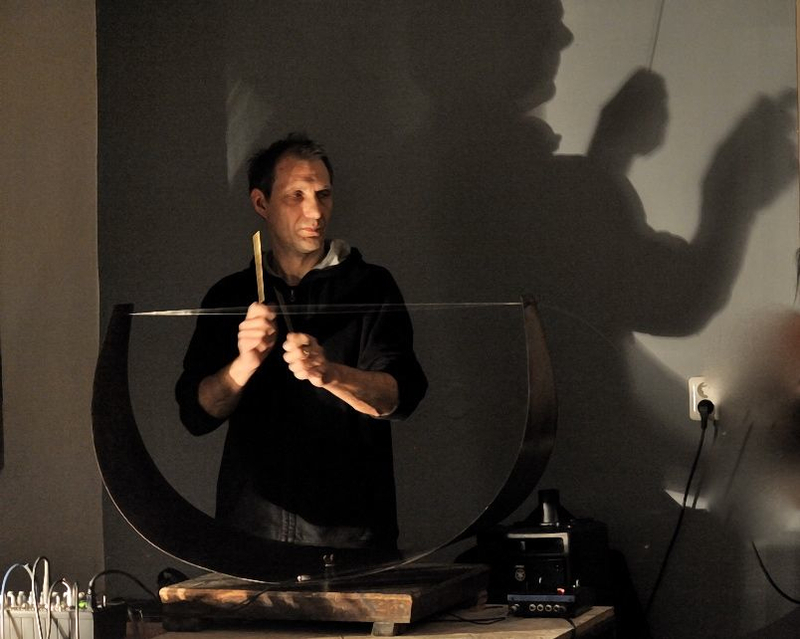 Creates original sound instruments, interactive objects and installations, radiocompositions, spatial compositions. Studied at Academy of Fine Arts, Prague, 1990-1997 and later assisted at conceptual department of prof. M.Šejn–till 2002. Often site specific works, since 2000 member of mamapapa c.a., where with T.Žižka relised number of important local and international projcets. Recently performed at: Alternativa-Prague, National Gallery Prague, Cargo train station-Prague,Topolo stazione- Italy, WB Motion- Wittenberg-Germany, Experimental Intermedia- New York, Eyebeam gallery, New York, Expo 2005, Japan etc. Visual score using a ground plans of former gas container- presented at National Gallery Prague.